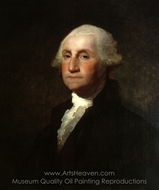 Home › Museum Collections › Corcoran Art Gallery, Washington D.C. The Corcoran Gallery of Art is the largest privately supported cultural institution in Washington, DC. The museum's main focus is American art. The permanent collection includes works by Eug�ne Delacroix, Edgar Degas, Ian Hornak, Paul Manship, Chryssa Vardea Mavromichali, Claude Monet, Rembrandt, Pablo Picasso, Pierre-Auguste Renoir, Andy Warhol, and many others. There are always several exhibitions. The Corcoran is the oldest and largest non-federal art museum in the District of Columbia. Its mission is to be "dedicated to art and used solely for the purpose of encouraging the American genius."